It's more than a refreshing game of winter golf. If you have pre-ordered tickets they will be at the will call table when you check in at the the event. 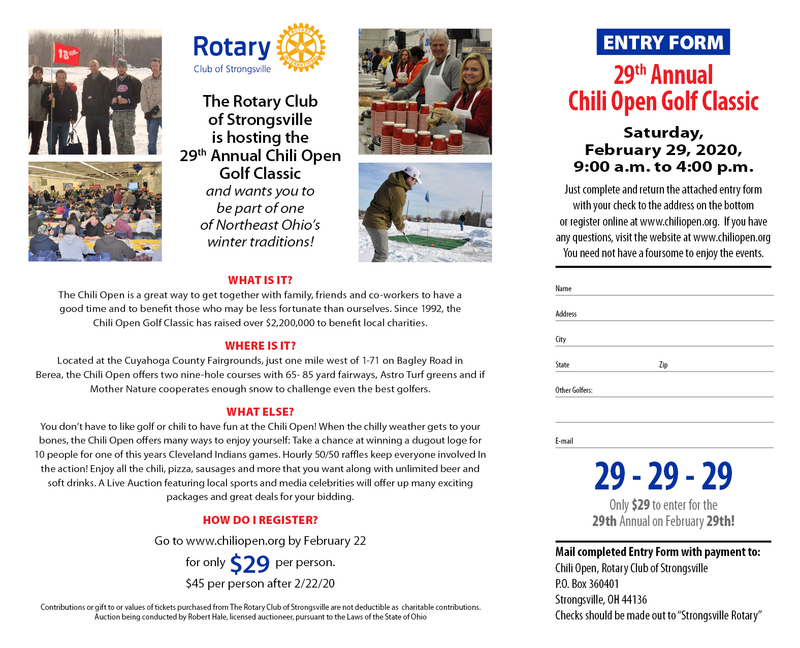 Tickets to the Chili Open are $45 and are available at the door. Online Preregistration is now closed, but tickets are available at the door for the 2019 Chili Open at the Cuyahoga County Fairgrounds.